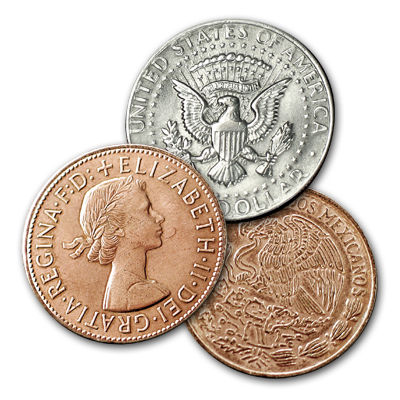 Three coins are shown - a Half Dollar, an English Penny, and a 20 Centavo. The two copper coins are unmistakingly placed in one hand. The hand is immediately opened to reveal the Half Dollar! 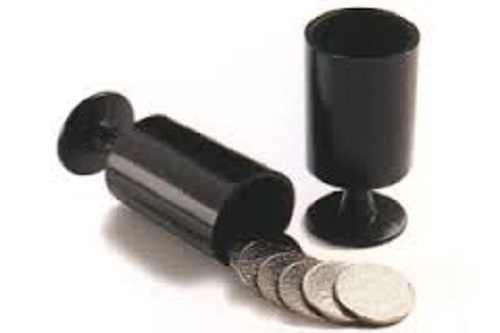 The copper coins are tossed on the table from your other hand! Now the copper coins are placed in your pocket as your other hand closes around the Half Dollar. Again you immediately open your hand to show the two copper coins while the half dollar is removed from your pocket. Everything is completely examinable.